Created for entrepreneurs and by entrepreneurs. to educate and to inspire by connecting you with other entrepreneurs, members and the ecosystem of support needed to create and operate a successful startup in Canada and the world. the team that has created StartupNorth.ca, Demo-Camp, Founders Funders, and startupindex.ca. 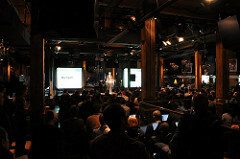 StartupNorth.ca is Canadas most popular community of web entrepreneurs and DemoCamp has been voted Toronto's best "un-conference" and has been held in over 15 cities attracting over 10,000 individuals. StartupSchool is a unique set of sessions that will take place at startupEmpire. 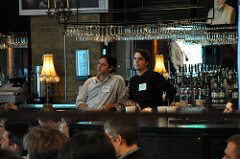 Over the course of two days, attendees will go from concept to a fund ready start-up. StartupSchool is hosted by Rick Segal from JLA Ventures and the Blackberry Partners Fund. Rick will be joined by a number of leading entrepreneurs in each session who have real world, hard knocks experience. From the napkin all the way to asking for the coin, you will hear real world information, mistakes to avoid, and get facts you can immediately use. In addition, every attendee will receive a DVD packed with sample materials for starting up a company, tools, products, and gigabytes of information you can use. The DVD is effectively a "Start-up in a box", saving you thousands of dallars in start-up costs."